The most transparent phono preamplifier that I have ever auditioned. This story begins back in 1993 when Israel Blume establishes Coincident Speaker Technology. Mr. Blume wanted to produce a speaker unrivaled in sound quality at an affordable price. Since that time this Canadian company has expanded its manufacturing base to include, amplifiers, preamplifiers, speaker cables and component interconnect cables. 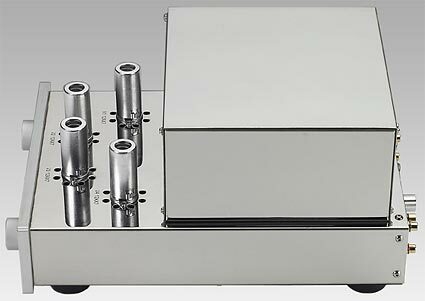 This is a phonostage with preamplifier housed inside two separate stainless steel chassis. The stainless steel provides both halves with a shielded non-resonant enclosure. Both components have a 0.375" thick aluminum faceplate and the two housings are identical in size: 10" wide and 13.75" deep and 7.625" high. In one chassis, we have a massive 43-pound power supply. The power supply is oversize and has a rated capacity equivalent to a 100-watt power amplifier. This power supply provides an ultra stable power source. This is accomplished by employing four different stages of independent ultra stiff choke regulation. The supply is dual mono with two transformers per channel. One transformer is for filament power and the second transformer has huge reserves for high plate voltage. All internal capacitors are ultra-pure high quality polypropylene and there are no electrolytic capacitors used in the circuits. All internal wiring is hand soldered from point to point eschewing the use of printed circuit boards. This is the basis for the manufactures claim of vanishing low ripple, zero clipping artifacts, minimal AC noise and non-existent hum. The Moving Coil Phonograph Preamplifier: The amplifier section has only two gain stages comprised of four-shielded Soviet made Mullard 12AX7 vacuum tubes. These tubes are the heart of an independent left right two-channel amplifier that produces 66dB overall gain. The phonograph amplifier uses passive RIAA compensation with zero feedback with less than 0.1dB deviation from 20 Hz to 20 kHz. powers the separate Phono Amplifier. Last, at the right rear corner is the main power supply on/off toggle switch. The Coincident Statement Phono Preamplifier's fro nt panel has two independent left and right volume control potentiometers. This is something that I wish all two channel amplifiers had. Near the center you will see two small toggle switches, the first is a mute switch and next to that is the phono amplifier input selector. The input selector logically has two positions because there are only two sets of input jacks, Phono and CD. I have a minor gripe about the way the mute switch is labeled. Of course, the two positions are labeled on and off. However, the word MUTE is silk screened at the bottom of the switch and I would rather see it placed above the switch, to me this is far more logical. It should read Mute; on with the switch in the up position and the word off should be at the bottom as you flip the switch to the down or off position. Looking at the preamplifiers back panel and reading from left to right, you will find two pairs of RCA input jacks one is labeled CD and the other is labeled Phono. The CD input can accommodate any high level signal source thereby obviating the need for a preamplifier stage. Placed next to that is a gold-plated grounding lug. In addition, at the center is a cartridge impedance selection knob. This is a switch that has four numbered positions, c lockwise they are 3-10, 11-30, 31-100, 101-300 Ohms. There are no other markings but I believe the numbers represent resistive cartridge loading in Ohms. Next and right of that is the umbilical connector from the power supply. Last and at the far right side are two sets of left right channel RCA output jacks labeled Phono Out. There are two pairs of amplifier outputs from this moving coil amplifier to allow system bi-amplification. The preamplifier is shipped in a single cardboard box with the two components stacked in two separate layers. Surprisingly I found the four 12AX7 tubes were shipped plugged into their respective sockets. As received every exterior surface of the shining stainless steel chassis is protected by a thin transparent film of plastic. In the owner's manual I find that there is a manufacturer's suggestion to break in this amplifier for an extended 200 hours period. To comply I used the CD input connection on the Statement and my Sangean HDT-1 digital radio tuner to season the circuits. In this configuration, I could set and forget the gear and just let it cook until ready. To sample black vinyl I used my SOTA Sapphire turntable my Grado Signature tone arm and my Alpha 2 moving coil cartridge, specified as 0.3 millivolts output into 80 Ohms. Step one: Clean record with my VPI 16.5 and place it into a clean never used sleeve. Step two: Install cartridge in headshell and lock headshell to arm. Step three: Rough set tracking force too approximately one and a half gram. Step four: Adjust arm pillar height to level bottom of cartridge parallel to record surface. Step five: Set cantilever alignment and cartridge overhang with a Cart Align mirrored protractor. Step six: Set tracking force at, 2 Grams with a Roksan Stylus Balance, then recheck everything in the previous steps. Step seven: Using the Ultimate Analogue Test Record (AAPT1) and the Fozgometer Azimuth Range Meter set stylus perpendicular vertical alignment. Step eight: With the cartridge tracking the moving record adjust rotational speed to exactly 33.3 RPM with the DT2234A Digital Laser Tachometer. Well not so fast Bunky, even as you listen you still must ear tune the system. You should try a slight adjustment of cartridge tracking force, is it better? Next, adjust the anti skate to about the same as the VTF, is that better? One more teensier thing, vary the VTA by changing the arm pillar height very slightly. You will know you are on target when the presence of bass and treble are approximately equal, at about that point the midrange should just pop into focus. Alpha 2 Moving Coil Cartridge: My First vinyl earful was a used two dollar Doobies Brothers album, Taking It to the Streets [Warner Brothers Records, BS 2899]. My favorite Doobies track is the multi layered sound of, "You Keep Me Running". As I listen the very first few notes reminded me what is missing from my Compact Discs. Like that museum in Washington, the room boundaries are pushed back and I sense Air and Space. Every individual part of this recording now inhabits its own separate location and the performance is deep and wide seemingly limited only by speaker placement and the wall behind the system. The perceived reverberation that hangs in the air after the line, "You Keep Me Running" seems to echo from a space deeper in the center stage and to decay more naturally than the same cut recorded on the CD version. On side one of the same album is another great track, "Taking It To The Streets". The sound of a tambourine can be heard from the beginning and all the way to the end of this cut. However, the sound of this tambourine is buried and overlaid by every instrument and voice present on the recording. It serves as a good test of detail resolution. Suffice it to say that the Alpha 2 was able to follow this thread of sound all the way to the end. The same fourth dimensional factor (Time) is evident on the next recording. Dire Straits, Brothers In Arms [Warner Brothers-25264-1]. I had forgotten the incredible wealth of detail and wide open window of sound that exists on this recording. On the cut Money For Nothing the sound is dynamic and with every musical element you can hear a progression of distinct pitches and delineated lines. Because of this, it was very easy to make sense of the bass guitars chord changes and it is the bass lines that anchors the structure of the composition. Enigma: The Devil is in the details, or a reminder that set up matters. The vinyl playing system you listen to is made up of interacting parts. It is after all a turntable spinning a recording of variable quality through a cartridge possibly misadjusted, hanging at the end of a moving and vibrating arm. So how do you separate the contribution/coloration if any that the moving coil amplifier imposes on the performance? And how much of that reproduced music is attributable to the cartridge as opposed to the amplifier itself. There is only one (practical) way to find out. It is by swapping known cartridges and by exchanging one for the other while listening to the same songs on the same recordings. Paraphrasing Dr. Arthur Conan Doyle "The solution is elementary: you must eliminate what is impossible and what ever remains however implausible is the truth." Therefore, let us listen to a second cartridge, the almost ubiquitous Denon DL 103 moving coil with its 0.33 milliVolt output. And so back to the Doobies and listen once again to the cut, "Taking It To The Streets". The Denon is a fine budget moving coil cartridge but it does not have the resolving power of the Alpha 2. The Denon lost the thread of the tambourine sound on two occasions. Obscured and buried deep under the backing track mix, it finally did reemerge near the end of the cut. Out of a record pile came disk three, Stevie Nicks and her album, "Bella Donna". A reissue produced by Mobile Fidelity [MFSL-1-121] the sound from this album was surprisingly poor. The treble and bass frequencies sounded truncated, meaning compressed. The effect was as though the dynamic life had been sucked out of the vinyl. Mobile Fidelity and their Gain Cutting System has always produced extremely good vinyl recordings, so what was going on? The answer came after readjusting the arm height. I did this even though all the records played where the same thickness. Of course that altered the cartridge vertical tracking angle. Additionally I reset the Statement resistive load to the 31 and 100 Ohm setting to approximate the manufacturer's 80-Ohm specification. After adjusting the vinyl setup the transient response returned and so did a measure of ambience and Ms. Nicks' micro tonal vocal inflections. The lesson must be that even with competent recording engineers, there is still some latitude and interpretation of the mastering art that coexists with the recording industries standards. As I listen, it is to a mixture of ever changing variables, there are only two overriding constants that remain fixed. The first is the organic realism of the world we live in engraved in the vintage vinyl itself. The second is the contribution made by the vacuum tube Coincident preamplifier that we use to extract music from these vinyl furrows. The two seem to be made for each other; it is manifested by a continuous stream of spatial and harmonic analog information. By contrast when listening to Compact Disc's there exists a digital barrier between you and the realization of what is real and belonging to the natural sound of living things. It is fundamental to the way your brain processes the information in the world around you. We have a marvelous instinct based on a very primitive ability to filter out background noise and sense movement and perceive danger approaching in the darkness. The barrier I refer too is predominantly an under lying digital graininess, (possibly quantization noise). These digital artifacts exist on a subliminal level, still the human brain can and does instinctively sense that it is present. It is these non-linear divisions of sound that do not perfectly fit into our analog world. That is the raison d'être for the Coincident Statement MCPP. The story of this device has been a test not only of the Coincident preamplifier but of this writer. The high-level preamplifier input sounds exactly like what you plug into it. 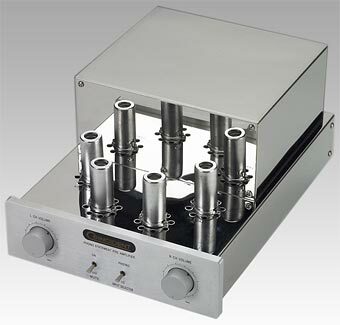 It is the most transparent preamplifier that I have ever auditioned. The familiar sound of my Marantz DV8400 CD player and my Sangean HDT-1 digital tuner was unaltered in any way. Try as I may the Coincident preampl ifier has no obvious faults, you may disagree but your objections can only be based on differences in taste. Like a masterful painting, no single element sticks out. No color, no objects in the foreground or background, no perspective is distorted in size. You can look at it and instantly it makes sense. You will know exactly what the artist wanted you to see, but you may not know how you know it. At this point, I can identify only a few very broad qualities. The Phono section does not have the lighting fast transient response of some solid-state phono stages, but that might be a good thing. What you will hear is a vinyl performance deep and wide painted with airy microtonal details that can suspend disbelief, it is this that erases the here and now, and it is this that draws you into the performance. If you posses and enjoy a quality collection of vinyl than it makes perfect sense to experience this world class Statement Phono Preamplifier. Footnote: The ability of so-called Golden Eared audiophiles is based largely on a trust in their own innate auditory reflexes and instincts. I believe that any one who seeks to find enjoyment in music should find a way to play analog recordings. This is a no brainer. Speakers: Aurum Cantus Leisure 2 SE two-way monitors on 24-inch stands. Onix Rocket Strata Mini four-way speakers. Speaker Cables: Kimber Kable 12tc 8ft. Tubes: Four 12AX7 reissued Mullards are included. Weight: Power supply is 40.4 lbs, phono stage is 20.9 lbs. Lift AC Ground: Conveniently breaks AC ground to eliminate hum caused by ground loops. Optional Line Stage Input: Input for SACD/CD player. No need for line stage.